Wildlife Management Services cater our services to suit the intricacies of many different industries. 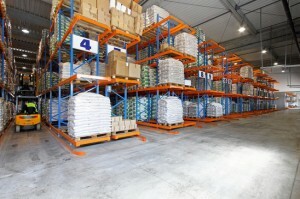 We have been delivering services to warehouses and various types of public buildings for at least ten years. Warehouses and public buildings are normally located next to or near urban centres. By design the buildings provide a host of nesting and roosting areas for birds with the nearby urban centres offering a constant food source for birds. As warehouses are normally open for an extended period during the day with stock coming in and out birds can have relatively easy access, oftentimes even getting trapped at night. Other public buildings such as multi-storey carparks are by design often open and have plenty of areas from which birds can gain access. Shopping centres and other public buildings are architecturally conducive to birds, as ledges provide natural perching areas, ridges and valleys also provide sheltered areas for nesting and roosting. Generally the main species causing problems would be pigeons. Sea gulls can also cause problems in coastal areas particularly where there is a source of food either from stores, waste or unwittingly provided by the public. Bird droppings cause’s health and safety hazards. Fouling in public areas can smell unpleasant appear unsightly and can deter customers. Although it is possible to clean this, it is costly and will need to be carried out very regularly. Droppings can cause a slip hazard, even with daily cleaning, pavements and walkways are only safe for a short while before the droppings accumulate again. Furthermore when there is food production on site bird droppings cause an additional hazard by carrying disease organisms such as Salmonella, Escherichia coli, Campylobacter jejuni, Lysteria monocytogenes, Vibrio cholera. Birds can also contribute to an unsafe working environment for employees. You will find that birds can also pull waste bins and rubbish open which would leave the place looking untidy and incur further clean-up costs. Another complaint that we often receive is that when Sea gulls start nesting on roofs they can become quite aggressive oftentimes swooping down on people.